Chet’s Blueberry Farm is known for their amazing big sweet blueberries located in central Wisconsin. 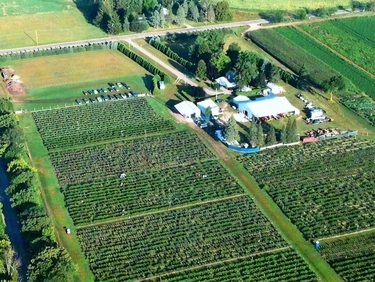 The u-pick farm has over 14,000 highbush blueberry plants with more than eight different varieties on 12 acres. The bushes will average 5 to 8 feet tall once fully grown. Chet’s Blueberry Farm picking season begins approximately in the middle of July and lasts usually through the end of August possibly early September. The farm is well maintained for u-pick customers with mowed grass growing between the rows, lots of parking, porta-potties, and a hand washing station. Buckets are supplied to use for picking or bring your own. The farm does offer pre-picked blueberries but only on a first come first serve basis. Chet’s Blueberry Farm invites you to stop out and pick top-quality fresh blueberries along with experiencing the fun atmosphere of the farm.